SANTA CRUZ, CA — NOVEMBER 8, 2017 — In keeping with a long-term commitment to effectively serve youth throughout Santa Cruz County, Boys & Girls Clubs of Santa Cruz County (BGCSCC) today announced it will acquire Boys & Girls Club of the Valleys to open and operate a new clubhouse in Scotts Valley. BGCSCC will embark on a comprehensive fundraising campaign with the goal of getting the new Joe & Linda Aliberti Clubhouse open to serve youth in early 2018. The Joe & Linda Aliberti Clubhouse centrally located at 5060 Scotts Valley Drive, features an existing 3,000 sq. foot building, large outside play area, and is within walking distance of Vine Hill Elementary and Scotts Valley Middle School. Additional transportation options are being explored to serve students at Brook Knoll Elementary and schools in the San Lorenzo Valley. Clubhouse programs and activities will include homework help and tutoring, computer and technology programs, arts and crafts projects, sports games and activities. Special program opportunities are also planned for youth 13 years and over. 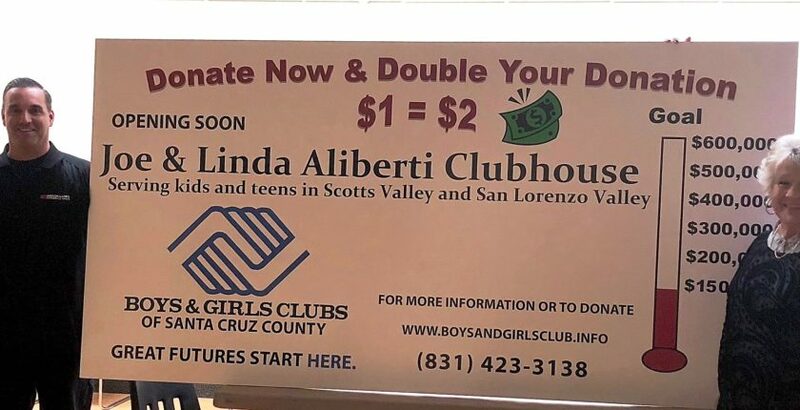 The Joe & Linda Aliberti Clubhouse will serve Scotts Valley and San Lorenzo Valley children and teens ages 6-18 afterschool, during school breaks and throughout the summer.